Over the years we have done plenty of experiments with ingredients, often recommending to our readers that it's okay to adopt a playful attitude of trial and error when it comes to recipes. Sometimes it's a result of substitutions for not having the right ingredients, but more often it comes down to personal taste. There are recipes that call for very specific proportions, but most of the time it makes more sense to taste the result and adjust as necessary. For instance, adjustments are almost always expected when balancing sweet and sour. 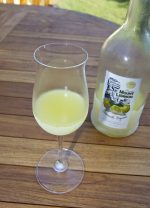 One never knows how much acid is present in a volume of citrus juice, and personal taste can affect what you consider "balanced". We tend to lean toward the sour side, but we understand that some recipes are meant to be sweet. Time and experience can transform your idea of a good cocktail. It's that time again when the masters of fruit preserves and culinary syrups gather their "citizens" for another quarterly Cocktail Club. When Republic of Jam puts on an event, it's sure to include an assortment of flavors to delight your tastebuds. This was no exception, and once again, we were invited to lend some creative cocktail ideas to the evening. One of the challenges we learned from last time was the fact that cocktails mixed in batches are served en masse and have to be prepared differently. Because all of the drinks get served as small samples on the rocks, none of them go through the typical construction process of shaking with ice. Proper dilution is normally a helpful byproduct, so we needed to take that extra water into account. 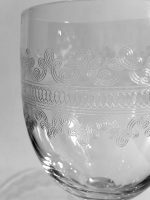 By making these individually, you also have the flexibility of glassware choices and creative flourishes with the garnish. Randy explains how best to open a pomegranate and release the precious seeds within as well has how to use the juice from these seeds to make grenadine. 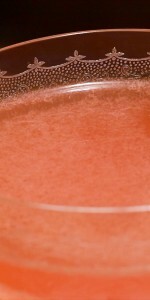 Once you've made your own grenadine, there are several delicious recipes to try, including the Singapore Sling, Monkey Gland, and the Commodore Cocktail.